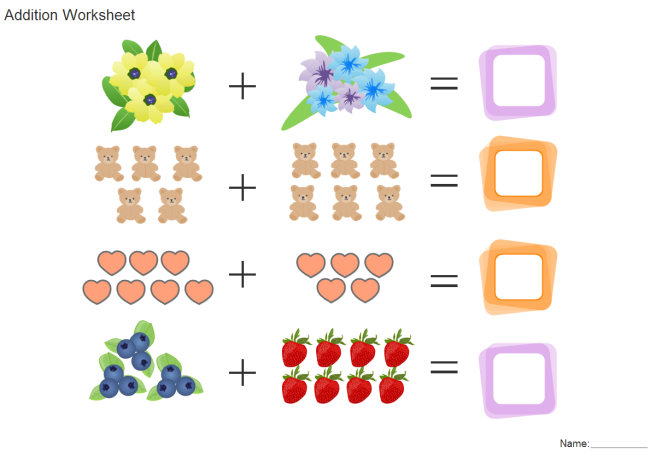 Here are some pre-designed creative drawing shapes for making or decorating diagrams and charts easily. They are in vector format, editable, scalable and shareable. Edraw Max offers some creative drawing shapes which are well-designed and easily editable. 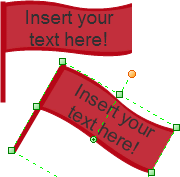 These creative drawing shapes can be easily resized, re-colored and rotated. 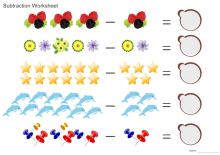 Use them to enhance your diagrams. By smart, it means that they are really easy-to-use. Just drag and drop them onto the canvas. Resize them through the square selection handles. Recolor them with 1 click via the color bar on the bottom of the canvas. Drag the round handles to rotate these shapes. 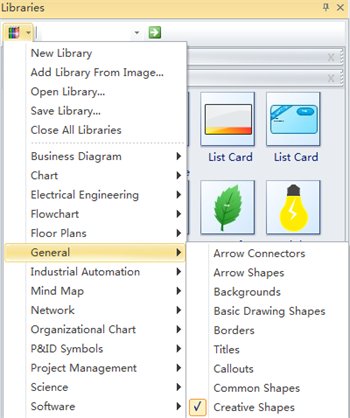 In the Libraries pane, click the Libraries button. 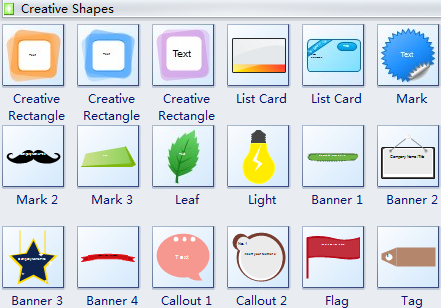 Then choose the Creative Shapes item in the General menu. Drag the creative shape you want to use from the library onto the drawing page . After you insert and position the creative shape, you can enter text in it by double click the shape. The following diagram examples show how amazing these creative shapes are. 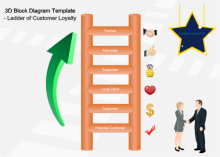 They will enhance your diagrams by making them unique and visually pleasing. In addition to diagram design, you can also insert these creative shapes into other documents like Word, Excel and PowerPoint. 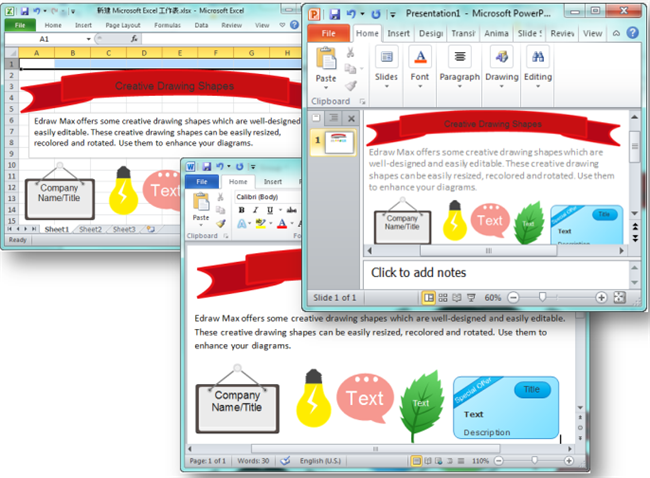 Just copy them in Edraw and them directly paste them to other Office applications.